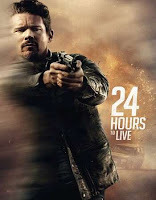 24 Hours to Live 2017 | FunToMovies 300 Movies '+g+"
24 Hours to Live is a 2017 American action thriller film directed by Brian Smrz. It follows a career assassin (Ethan Hawke) who is brought back to life for 24 hours to seek revenge and redemption.The film premiered at the Austin Film Festival on October 26, 2017. Story line: An assassin seeks redemption after being given a second chance at life.